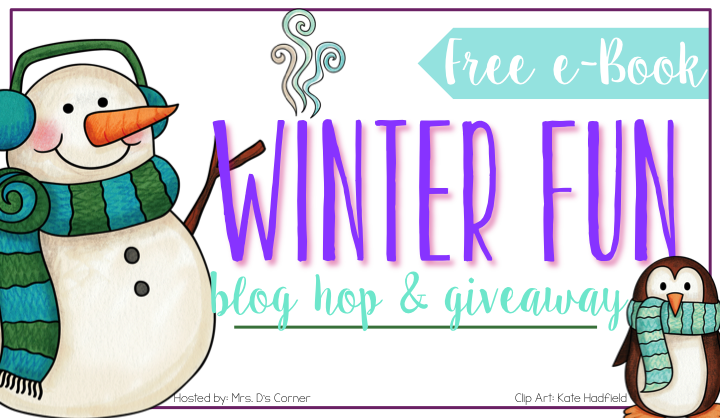 Welcome to our Winter Blog Hop and e-Book Giveaway! 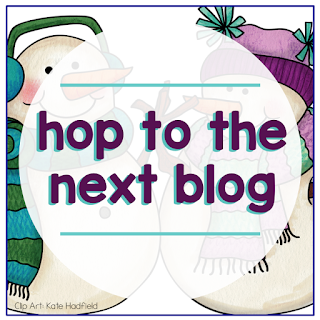 You are sure to find lots of great winter ideas from our amazing group of bloggers! 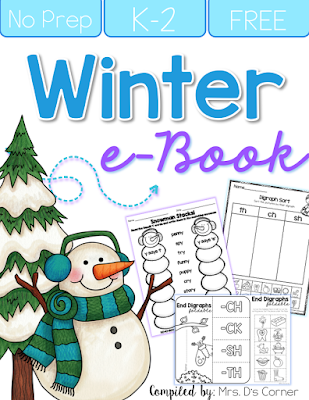 Not only are we sharing ideas from our classrooms, but you can download a free Winter e-Book full of activities from us! And most exciting of all, you could win a $100 TpT gift certificate too! Winter in my classroom looks very different this year, since we have been focusing more on project based learning. 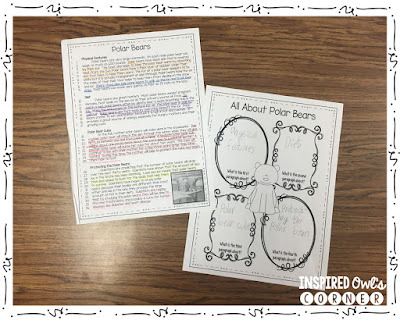 My students have been studying polar animals in groups. (My original plan was an Arctic Animal project, but one group really wanted to study penguins, so I turned it into a Polar Animal project.) 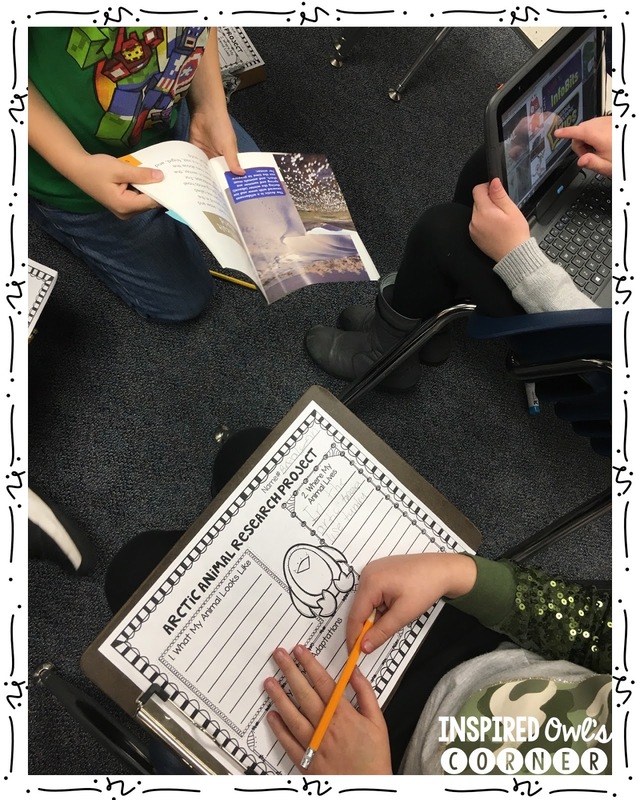 They are gathering information on their animals, using a research organizer, then creating PowerPoints, posters, and a final project. 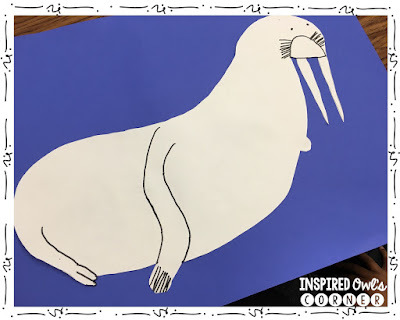 The task for the final project is to create a model for an exhibit at a zoo for their animal. 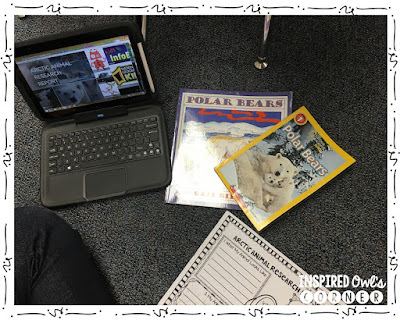 Their research includes websites, books, and reading passages to find out everything they can about their animal and create an accurate model to represent their animal's habitat. 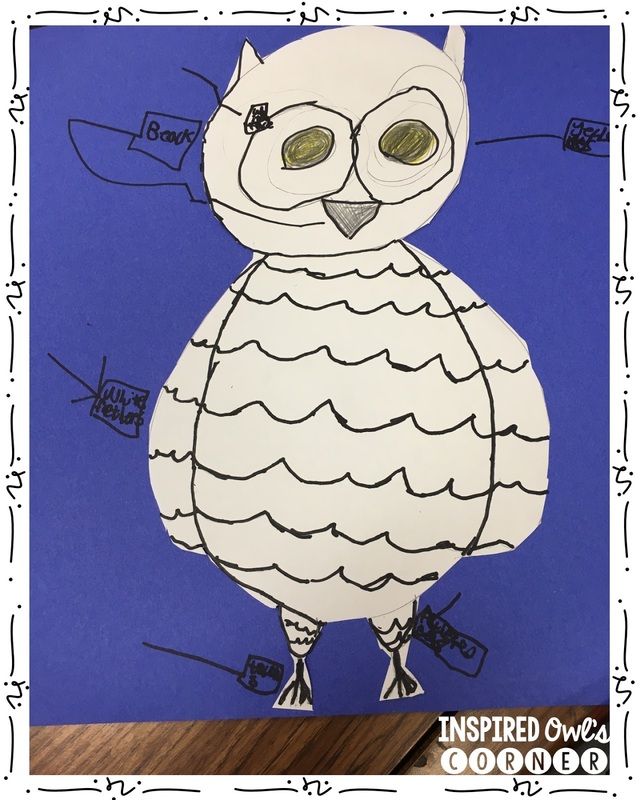 As a culminating activity, the entire grade level will showcase their creations in a zoo exhibit in the cafeteria. Each group is assigned a leader who is responsible for reporting to me any issues they encounter with their group members or other needs as they arise. The students have worked so well in their groups, each one researching a different area and reporting back to the group to share out what they found. I love giving them this independence and seeing that they can actually work well together! Another resource a few of the groups have used are reading passages such as these below from PAWSitively Teaching. 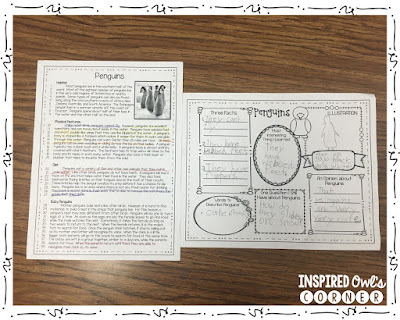 The polar bear and penguin groups found lots of new information about their animals. Last Friday a few of the groups began their posters. They are labeling their animals' body parts and adaptations for survival in the harsh polar climate. I will be sharing their final presentations and dioramas in the next week or two, as soon as they are completed. Here are some examples of the types of dioramas the students will be completing. Each group is responsible for bringing the necessary supplies for their project. I have donated paint, modeling clay, popsicle sticks, and cotton balls to the supply pile. I can't wait for our exhibit! 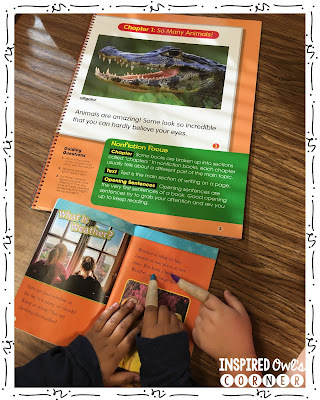 To go along with our nonfiction theme, we are focusing on nonfiction text features in reading. The National Geographic Kids series are perfect books for teaching these concepts. (I always cover these books with Con-Tact Clear Covering before I give them to the kids. You can see this post to find out how to increase the lifespan of your books and "laminate" them.) 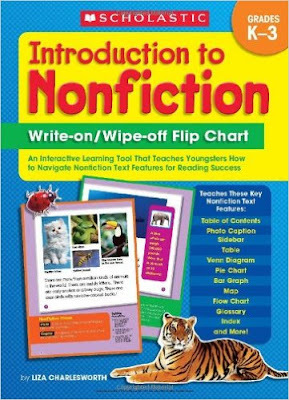 I start off by using the Scholastic Introduction to Nonfiction book shown in the picture below. It has great examples of different text features. 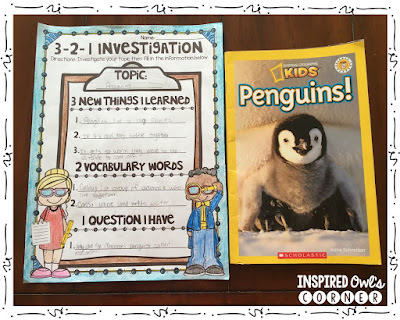 We go through the book and discuss each text feature and how they help us navigate through nonfiction text, which can often be difficult for students. After reading their nonfiction books, each student finds examples of the text features on the page using their nonfiction readers. I have the students write or draw an example of the text feature and the page number where they found it. If there aren't any examples in their books for a particular text feature, I have them write or draw an example that could be included in the book, using what they learned while reading. For example, on page 2 there's a spot for a bulleted list. The students were able to create their own bulleted list for 6 different types of extreme weather based on information they gathered from the text. My students have been using the 3-2-1 Investigation sheet below to record the information they learn while reading their nonfiction books. They have also used this sheet while researching a topic online. 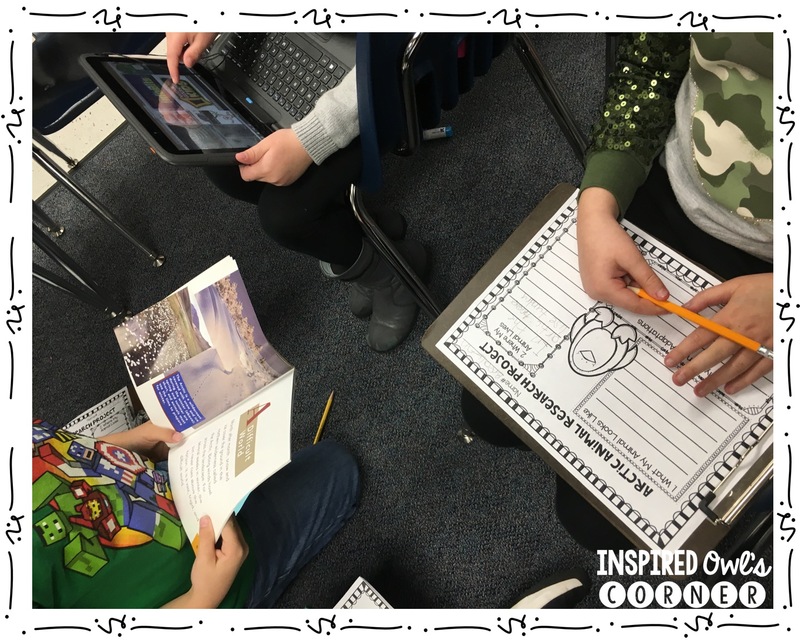 Have you heard of Wonderopolis? It's an amazing website where students can type in questions they have about things they wonder about. The most popular responses pop up, and students can read and learn about different topics. I love that it includes vocabulary and definitions in the reading. There is also a "check your knowledge quiz" at the end of the reading. 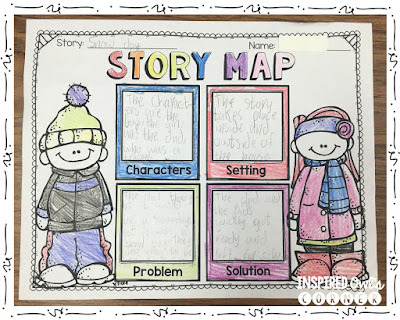 This is perfect for way fast finishers to have some extra enrichment and document their learning! 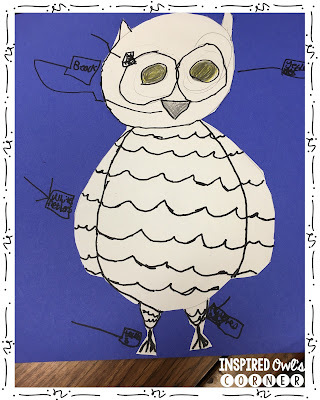 We've also been reading lots of winter-themed picture books and using our Winter Themed Reading and Writing Graphic Organizers to record our learning. 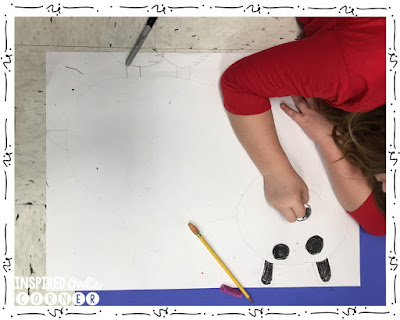 Below is a Story Map that a student created after reading Snow Day by Lester Laminack. This is such a great book, and even has a fun twist at the end! Now on to the giveaway! My secret word is "winter". You will need to collect all of the secret words, enter the Rafflecopter, and hop to the next blog at the bottom of this post for your chance to win our $100 TpT Giveaway! Don't forget to click on the image below to grab your free Winter e-Book! My 3-2-1 organizer shown above can be found on page 12.